Much to my personal delight, more bands are mining cosmic themes for inspiration. Just within the last few weeks (or even days, for that matter), metal has seen releases from bands as diverse as Monolithe, Inquisition and Void Omnia, all exploring cosmic infinites. Colorado’s Blood Incantation continue this trend with the release of their first full-length, Starspawn, on Dark Descent Records. They made waves in 2015 with a well received EP in Interdimensional Extinction that managed to whet everyone’s appetite for intensely heavy and brutal death metal, but with angular twists and turns that left listeners breathless. 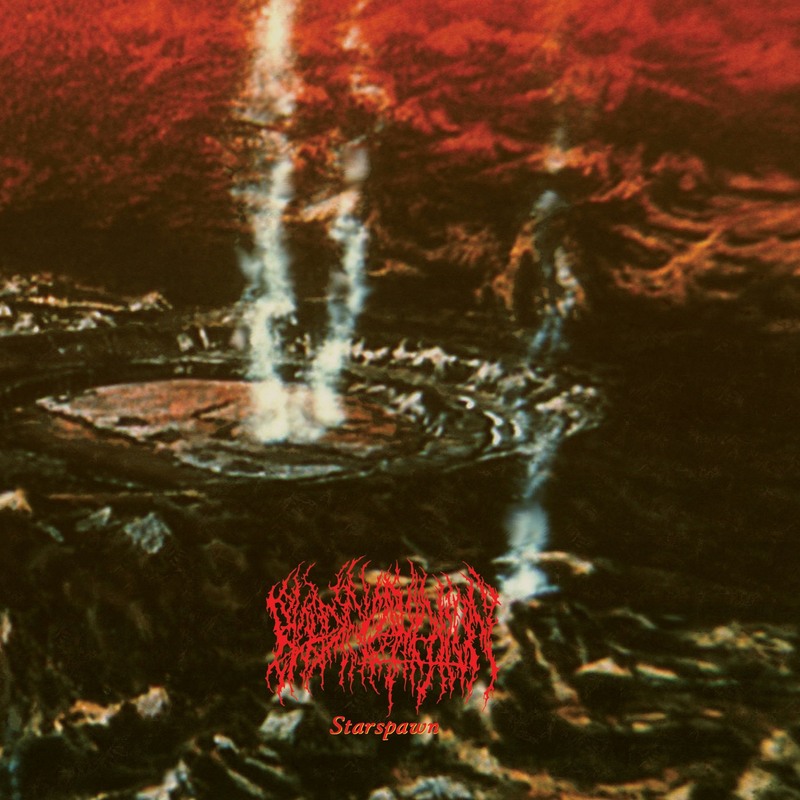 The release of Starspawn shows Blood Incantation taking a huge stride forward in songwriting as their angular form of death metal devastatingly resonates. Starspawn is deeply heavy with low end guitars, a rumbling bass and a dynamic drumming performance. Growled, deep seated vocals provide the atmosphere, as do the angular twists and turns in the riffing, pacing, and the solos. Those twists and turns that are rapidly becoming hallmarks of Blood Incantation’s sound. A case in point is the album opener “Vitrification Of Blood (Part 1)” with a very heavy, plodding pace to begin, only to soar further in with fluid guitar melodies accompanied by blastbeats. Melody creeps in throughout Starspawn with some excellent solos, and even an acoustic moment or two deep into the album. As you listen, you may find that Blood Incantation reside at an intersection between Morbid Angel, Mithras and, perhaps, Incantation. Combine this approach with stellar packaging from Dark Descent Records and the aforementioned cosmic themes, and you’re going to have an album that people will more than whisper about as the year end “best of” lists approach.